Love the looks. Installation was easy although the instructions were a little difficult to follow. Faucet leaked and had to be replaced. Replacement is working fine. Quality of bowl and faucet seem good. we just bought it and it looks great . We would buy more Vigo products again . Parts are all heavy, with a substantial feel. Installation instructions are basically a couple pictographs. First time I have installed a drain where the bottom gasket and ring are secured to bottom of granite instead of the bowl itself. One bowl sealed just fine. I suspect I deformed the top seal (a rubber ring instead of silicone or plumber's putty) by turning the bowl a bit after tightening. So, trying again with plumber's putty. 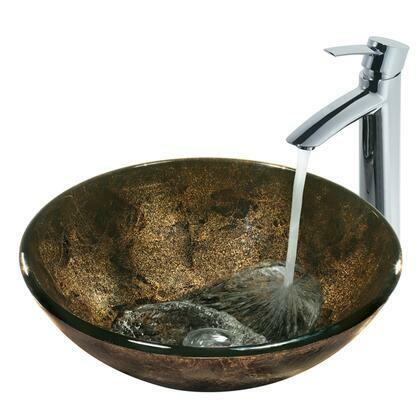 We wanted a vessel sink and faucet for our new bathroom.We ordered two because we couldn't decide.So hard to choose because they were both gorgeous and you could just tell it was quality.Our plumber who installed it is getting one for himself.He loved it too.Would defintely recommend.Shipping was also fast. The product is very high quality and was a breeze to install. It came in a solid package with sufficient padding to prevent damage during shipping and storage. The faucet operates smoothly and is very quiet. The product is very well made and was a breeze to install. It came in a solid cardboard box with sufficient padding to ensure no damage during shipping and storage. The color matched perfectly the bathroom decor. 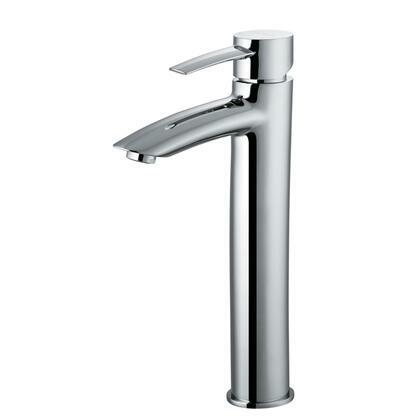 Nice contemporary vessel sink/faucet set at affordable price.